How does an airline publish a timetable without a route map? 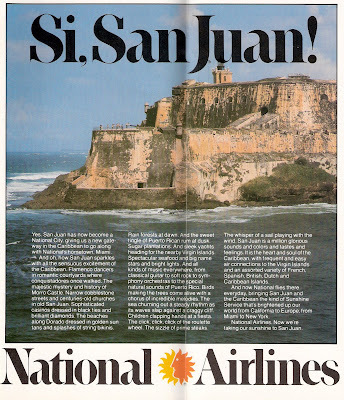 Well, National Airlines did in 1979. 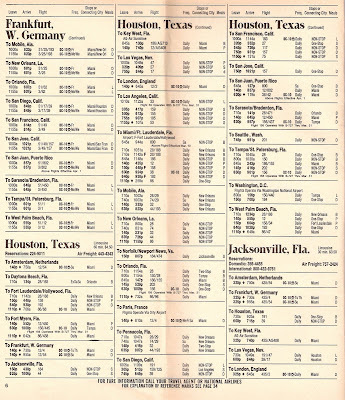 Even without the route map, this timetable is a good example of how to use a timetable to advertise. 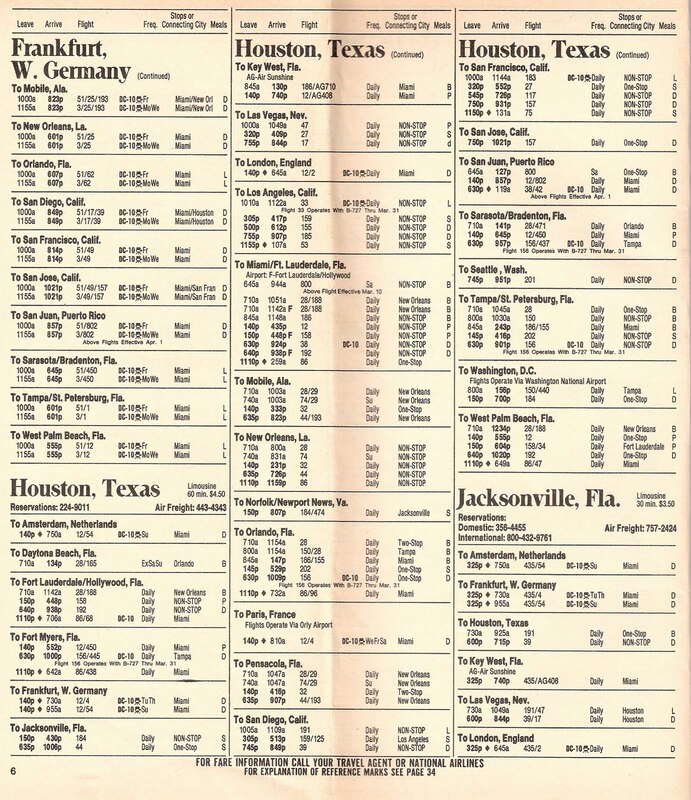 I didn't know that Houston was a focus city for National, so I included the schedules for that city. I searched the internet for a National route map to no avail. I'll keep looking. Update: Here's a site that features some advertising from National and their final route map before they were acquired by PanAm.